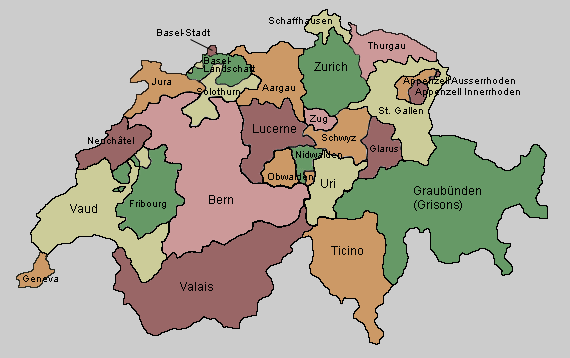 Looking for Schweitz Selber Pflücken - Pick Your Own Farms in Switzerland in 2019? Scroll down this page and follow the links. And if you bring home some fruit or vegetables and want to can, freeze, make jam, salsa or pickles, see this page for simple, reliable, illustrated canning, freezing or preserving directions. There are plenty of other related resources, click on the resources dropdown above. Rte de la Branvaude 13, 1290 Versoix, GE, Schweitz.. Phone: 022 755 43 16. Email: [email protected]. Open: In season, until the apples are gone on weekends 10-17h and Wednesdays 13h30-17h30. They have different varieties that ripen at different stages throughout the season (from now through November). 10, rte H.-C. Forestière, 1217 Meyrin, GE, Schweitz.. Phone: 022 782 90 58. 85, rte de Gy, 1251 Gy, GE, Schweitz.. Phone: 022 759 18 73. Jean-Jacques and Therèse Chollet. 1136 Bussy-Chardonnay, VD, Schweitz.. Phone: 078 924 14 66. Email: [email protected]. Open: Monday to Saturday 8h30-19h. Stephane Kläfiger. Bertrand & Martine Cheseaux, Route d'Evian 32, 1860 Aigle, VD, Switzerland. Phone: +41 (24) 466 35 83. Email: [email protected]. Open: From June, you can come in our orchards pick your own fruit in season; In June: 10 cherry varieties; In June & July: 4 varieties of raspberries, of Raisinets (3 colors), blackcurrant, of Josta berries. Schedule June-July: Monday to Saturday from 9:00 to 11:30. Opening depending on the ripeness of fruit, check the schedule in the " INFO-AUTO PICK "on their website. In September: prunes Fellenberg and soon two varieties of plums, including Greengage; In September & October apples of our main varieties. Fall schedule: Tuesday and Wednesday from 15:00 to 18:00, From Thursday to Saturday from 10:00 to 12:00, Except in case of rain. 1272 GENOLIER, VD, Schweitz.. Phone: 022 366 04 04. Open: 8h30-11h and 13h-18h weekdays, and Wednesday and Saturday 8h30-18h.Fr. 5.-/kg for strawberries. Le Taulard, Chemin du Boulard 1, 1032 ROMANEL-SUR-LAUSANNE, VD, Schweitz.. Phone: 079 240 78 36. Birmensdorferstrasse 170, 8902 Urdorf, Switzerland. Phone: 044 491 60 42. Fax: 044 400 52 25. Mobile: 079 634 43 82. Email: [email protected]. Open: from late May to early July, Monday to Saturday from 8:00 to 6:00 pm; Sunday opening times according to harvest phone; 044/400 52 26 or on Facebook. The best thing about our strawberries - are our pick your own strawberries! The strawberry paradise is centrally located immediately adjacent to the public parking Zwischenbächen (Chilbi Place) in Urdorf. The field is also well connected to the public transport (bus stop "Spitzacker"). Of course we are pleased to offer our serviced booth also already picked strawberries in 250g- and 500g trays. We also offer pick strawberry and vegetable fields, Flower Fields at 16 different locations and for cut-your-own flowers. Christmas tree sales at 13 locations near you. Ried Holzhof, 122 Riedholz Street, 8052 Zurich, ZH, Schweitz. Phone 044 301 42 58. Fax 044 301 42 93. Email [email protected]. Open: off season Tuesday and Friday: - 13:30 18:30 14:00 - 9.00 Sat Beer season daily opened. Buffalo Beef, Buffalo Calf meat, veal, pork, Smoked meats and dried meats, Jams and syrups, Dairy products: yogurt, buffalo milk yogurt, cottage cheese, cheese, buffalo Camembert, buffalo raw milk etc., flour, seasonal vegetables, wine, eggs, fruit. Milk from Stable Daily: 16:45 to 17:15 School farm barn visits. Jucker Farm AG, Dorfstrasse 23, 8607 Seegräben, CH, Schweitz. Phone: +41 44 934 34 84. Email: [email protected]. Open: PYO on Monday, Tuesday, Wednesday, Thursday, Friday, Saturday, Sunday in season; Farm Restaurant is open May to October, Daily 8.00am to 10.00pm from November to April; Sunday to Wednesday 8.00am - 6.00pm; Thursday to Saturday 8.00am - 10.00pm and the Farm shop is May to October, Daily 9.00am - 10.00pm, November to April, Daily 9.00am - 6.00pm. Farm Adventure by the Pfäffikersee Lake. 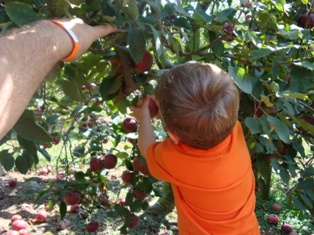 Not only fruit and vegetables grow on the Jucker Farm - it's a place of adventure for families to enjoy. Children can really let off steam on a visit to the Jucker Farm. Whether climbing on a castle made of bales of hay, fun and games on a natural playground or feeding goats in the "Geisslipark". And when the apples are ripe you can pick one freshly from a tree as you make your way through an exciting maze - as well as pick your own cherries and berries according to season. Moreover, tasty seasonal treats from the farm shop and farm restaurant please young and old alike. Freshly grown asparagus in spring and a pumpkin exhibition in autumn are further attractions and definitely annual highlights.